AccuTrans Casting Material has been specially developed for forensic applications. The high tear-resistance and the ideal recovery after deformation of over 99.8% are the keys to a precise impression result. With its special coloring and the homogenous mixing without air inclusions the impression can be viewed with the stereo microscope without unwanted light reflexes. AccuTrans Auto Mix Extruder Gun eliminates manual mixing. The component mixing occurs inside the mixing tips as the polyvinylsiloxane is extruded from the Auto Mix gun. The impression is 1:1 and can be placed under a scanner or camera and searched in the Automated Fingerprint Identification System (AFIS). The transparent silicone enables an investigator to place the lift on any color background, allowing photographic image capture. AccuTrans can be used on curved surfaces, and flat, horizontal or vertical planes. When used on vertical planes, a small amount of silicone is needed. This casting silicone can also be used on smooth or rough surfaces, human skin and blood evidence. This silicone can also be used to make an impression inside a gun barrel by using a light release agent before application. 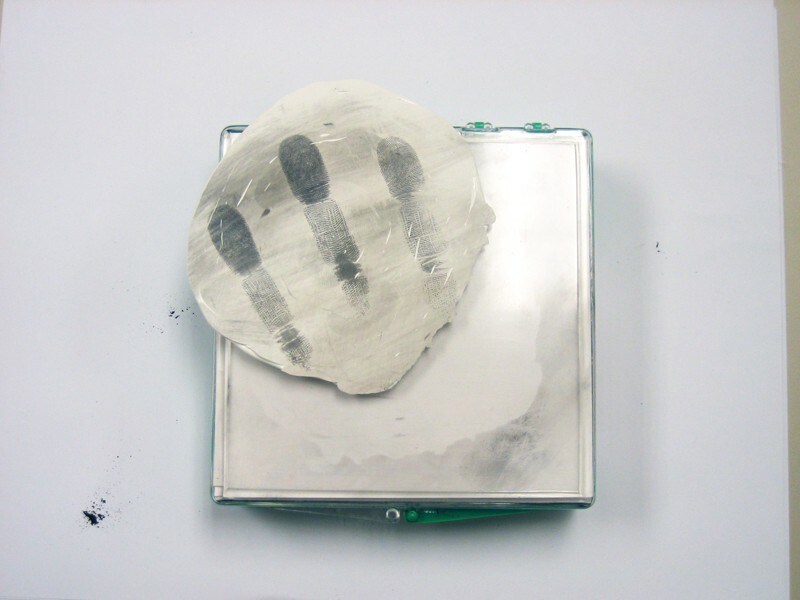 Forensic Investigators should dust the surfaces with magnetic and/or volcanic fingerprint powders to bring out the fingerprint ridges. (Magnetic powders come in a variety of colors, which is beneficial for surface contrast and photographic purposes.) Magnetic powders contain ferromagnetic particles, and are applied using a magnetic applicator or wand. At the beginning of the application, users must squeeze out a small amount of AccuTrans to properly blend the contents in the mixing tube. Doing this prevents large air bubbles in the casting. If small air bubbles are present in the cast, they do not interfere with ridge detail, or if the user stops and starts or removes the extruder’s tip. The extruder gun allows the material, and not the mixing tip, to come in contact with the fingerprint, thus preserving the print’s integrity. AccuTrans is so precise it can capture the ink depth of a dollar bill, making it a logical choice for forensic investigators.